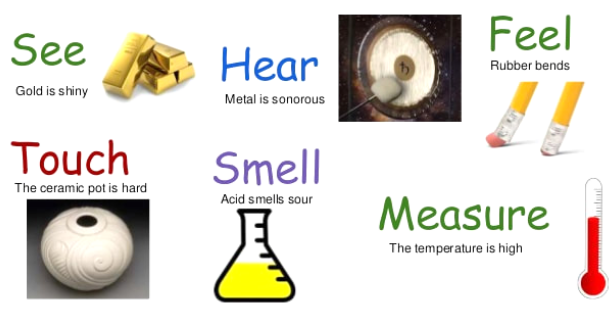 Physical Properties of a substance are those characteristic of a substance that describes its physical nature. For Example colour, density, shape, size and volume are some physical properties. 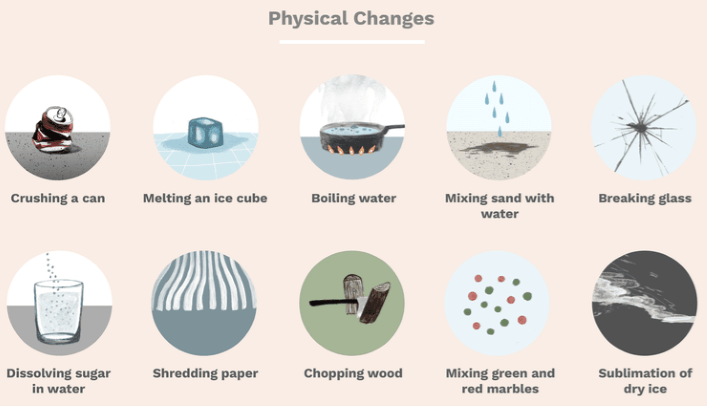 Physical Change is a change which occurs when there is an alteration in the physical properties of a substance. The physical change does not result in the formation of any new substance but can alter the shape and size of the existing substance. The chemical property of a substance are those characteristic of a substance that describes its chemical nature. For Example toxicity of a substance or how a substance reacts with other substances is its chemical property. 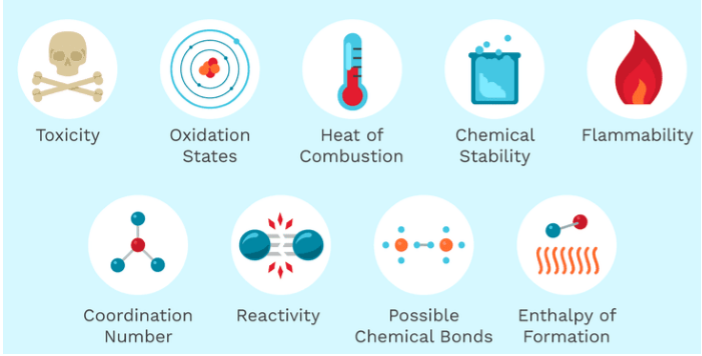 A chemical change or chemical reaction is any change in the chemical properties of a substance. Whenever a substance undergoes a chemical change, a new substance is formed. Burning of a substance such as coal, wood or candle results in production of heat and hence is a chemical change. Similarly, melting of ice results in absorption of heat and therefore it is a chemical change. 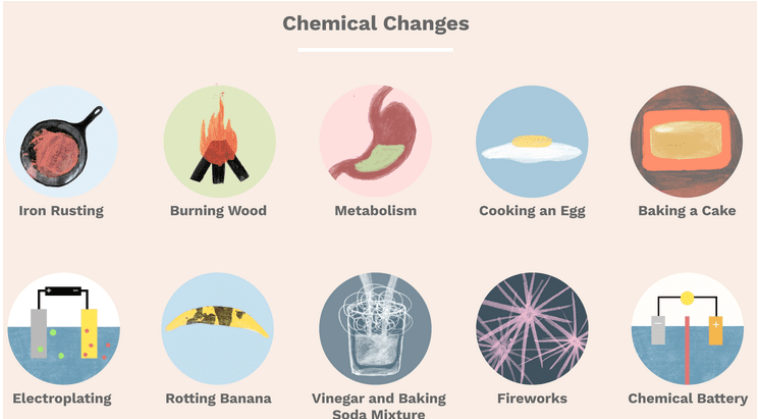 Bursting of fireworks is a chemical change. It results in production of sound, heat, radiation as well as gas. Raw fruits and vegetables when cut and left in open air start acquiring brown color due to a chemical change. Similarly, rusting of iron results in change of color of iron to reddish brown is also a chemical change. When antacids are mixed in water bubbles are formed indicating the production of a gas and therefore it is a chemical change. When food gets spoiled, it produces foul smell. This is because of a chemical change in food. Rotten eggs often produce a bad odour due to production of sulphur. Two liquids combine with each other and form a solid called precipitate. For Example, shells of animals are precipitates formed by chemical changes. 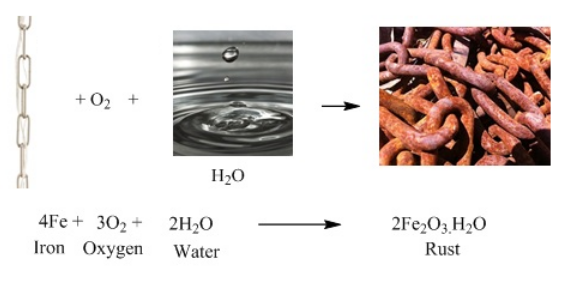 When the iron comes in contact with oxygen and water, reacts and forms a red colored substance over it. It is called Rust. It is a process of obtaining crystals of a pure substance from its solution. For Example, we can obtain the crystals of copper sulphate by boiling copper sulphate solution.